Today I decided to continue work on the first patch panel. 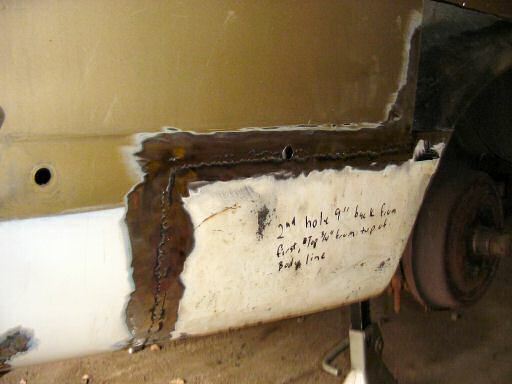 I finished welding the seam along the back edge and ground the weld seam until I was left with what you see below. Not visible in the picture above is a bunch of pinholes and small gaps in the seam. I put my drop light behind the seam so I could see the flaws better and made another pass with the welder. This time, I didn't go all the way around, I just did the areas that light was visible through. After that, I did more grinding and ended up with what you see in the picture below. The seam is much nicer now but there are still a few pinholes I need to fix. 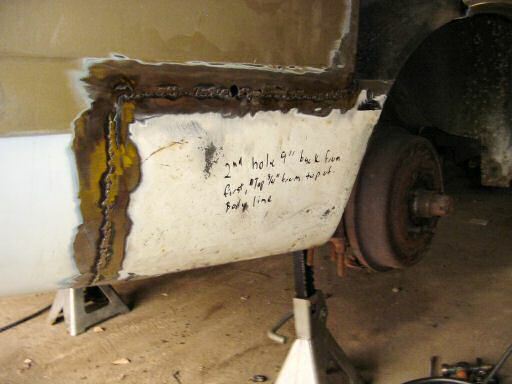 I also need to stretch the metal around the seam since it's now about 1/8th of an inch low on both sides of the seam.